The current craze for the connected self is revolutionising wearable tech and mobile devices, and now it's reaching the car as well. Experts agree that the connected car is the next big thing in the motor industry, promising enhanced safety features and unrivalled data access while on the move. 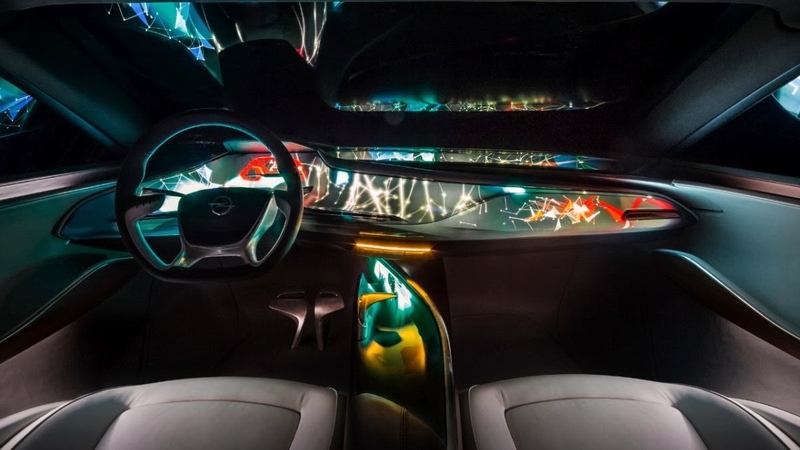 By hooking up to your smartwatch and smartphone, the connected car becomes the logical extension of the connected self, and in effect, the ultimate wearable. Essential read: What will we be wearing in 20 years? The rise of smartphones and tablets mean the average punter isn't put off by connected technologies. In Telefonica's Connected Car Report 2014, 71% of drivers said they were interested in using or were already using connected car services. Meanwhile, 80% said they expected the connected car of the future to offer the same connected experience as at home, at work and on the move via their mobile. Now we're used to being connected, we expect it everywhere. So what's the advantage of a connected car? It might just save your life. Last year, Ford unveiled the S-Max Concept featuring its ECG Heart Rate Monitoring Seat. It does exactly what it says on the tin. If it detects any problems, it can use Ford's SYNC in-car Wi-Fi to alert medical experts, or even take over in an emergency. This monitoring isn't all one-way. Connected cars will also let the driver see the condition of the vehicle by opening an app on their smartphone or smartwatch. Oil running low? You'll know without getting your hands dirty. In need of a service? You won't have to wait for something to go wrong. And thanks to the data from the app, you'll know if the mechanic is talking out of his exhaust pipe. Experts think these real-world benefits will help in the rise of the connected car. “A lot of this stuff is seen as flying car territory, just science fiction," said Mark O'Neill, VP innovation at global services at Axway. “But a lot of the connected car use cases are genuinely useful. They're not just technology for technology's sake." Connected cars aren't all about safety and health. They open up enormous opportunities for in-car entertainment. When every car effectively becomes a Wi-Fi hotspot on wheels, it means streaming music and movies will become all the more common. It's only a matter of time before the likes of Netflix, Amazon Prime Instant Video and Sky get involved. Connected cars could even save us money on car insurance. “They generate a tremendous amount of data, which is very useful to insurance companies," said O'Neill. “They can gather data on how fast you drive, how hard you brake, as well as your habits. If you don't usually drive after 9pm, for example, you might get a lower insurance premium." It all sounds pretty good. Unfortunately, it's not quite as simple as sticking some sensors and a Wi-Fi radio in a car. There are a few issues that need to be resolved before all our vehicles are connected. The development cycle of cars is very different to mobile phones. We keep our mobiles for a year, maybe two, but the average lifespan of a car is 8.3 years. And any car running mobile-based hardware that's that old is going to be seriously out of date. As Jeremy Green, a principal analyst at Machina Research puts it: “Do you remember which mobile phone you had 8.3 years ago?" Then there's the question of what to use as the in-car system. It's very early days in the connected market, and no one platform dominates. In some ways, it's like the mobile industry 10 years ago, with everyone trying their own thing. Google and Apple have launched their own in-car systems, but that doesn't help matters. Car makers have a dilemma on their hands. Backing either Apple or Google potentially alienates a large proportion of potential drivers, as you won't be able to use an Android or Android Wear device with Apple's CarPlay, and vice-versa. Some car manufacturers make their own user interfaces, but as Green says: “I don't think they're very good at it." As soon as you connect cars to the internet, you have the threat of malicious attacks. According to O'Neill, they're as susceptible to these kinds of attacks as websites are. “Mobile and smartwatch apps generally connect over standard web APIs," he said. “These need protecting, so the API has to know if the person accessing it is trusted, and be able to differentiate between good traffic and bad traffic." A malicious attack could be disastrous, as the perpetrator would effectively take control of the wheel. “You could track the location of the car, the speed, limit the speed, lock the doors, do all sorts of things," O'Neill said. Perhaps the biggest obstacle for connected cars is the privacy issues. A connected car generates a load of data about your medical condition, where you've been, how you've driven, who you've talked to and what you've said. “A regular car leaves a trail of exhaust fumes, but a connected car leaves a trail of personal data," O'Neill said. So who owns all that data? And how do you prevent an iCloud-style hack leaking your –ahem – personal photos all over the internet? Looking 20 years down the road, will most of us even own on our own cars? “The majority of us will live in cities then, and the population will be even more aged," said Green. “We'll use cars less, which will mean fewer cars on the roads. They're likely to be more shared use, and they'll do more for themselves." But they'll still have to be connected. “Until they become completely self-driving, they'll have to report on us constantly to make sure we're still alive," added Green. A car that constantly checks up on you. Sounds a bit worrying, doesn't it? “We'll get used to it," explained Green. “It's not like we'll have much choice."